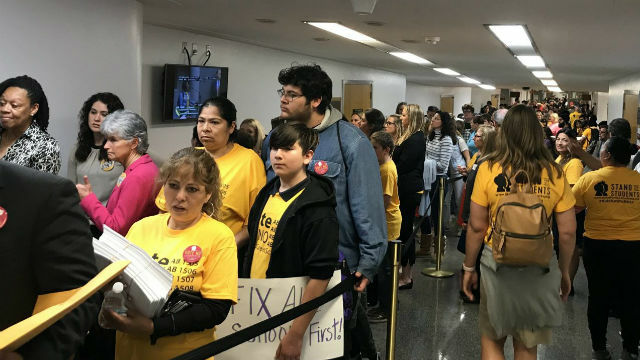 As charter school advocates rallied en masse and California’s teachers’ unions flexed their political muscle, a cluster of bills that would dramatically curb the growth of charters in the state cleared the Assembly Education Committee on Wednesday. The votes were the first in what figures to be a lengthy, high-stakes battle this session between two of the state’s most powerful education interests. AB 1507, authored by Assemblywoman Christy Smith, a Santa Clarita Democrat, sets strict limits on school locations and is in response to the practice of small school districts authorizing charter schools dozens or hundreds of milesoutside of their geographic boundaries. CALmatters is a nonprofit, nonpartisan media venture explaining California policies and politics.